Hi everyone! It is almost the weekend; Woohoo! So, I used to think cream cheese was just meant to be with bagels. Oh boy, was I wrong. 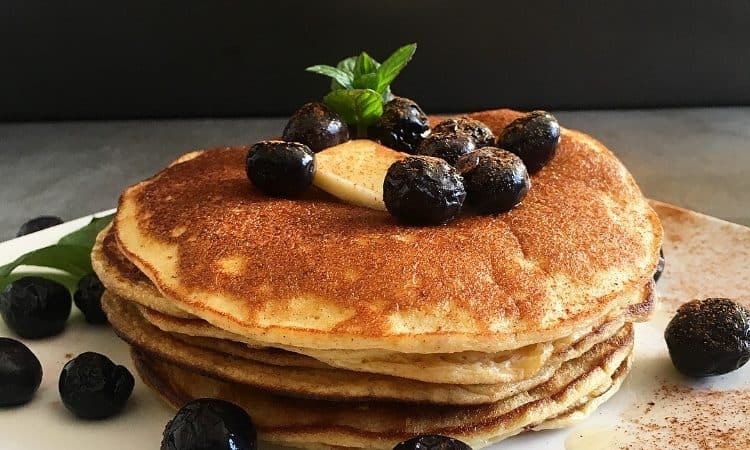 They are absolutely delicious in these pancakes; and what’s awesome is that the recipe is very low in carbs making them perfect for a low carb diet like keto. I talked about keto in the previous blog post if you would like to check that out. 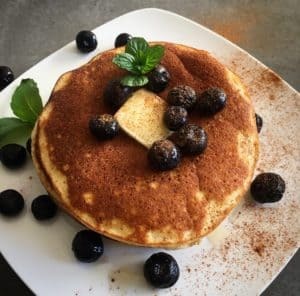 I have seen several recipes for low carb cream cheese pancakes; and after experimenting; this recipe was the BEST. Blend all the pancake ingredients together till no lumps are present. Pour mixture into a greased and lightly heated pan. Give it a minute or two till firm and browned then flip. Keep doing the same procedure. Top with butter, fresh berries, and sugar free syrup.